From the 25th until the 28th of June 2012 the PACITA consortium (particularly SPIRAL Research Centre at the University of Liège, University College Cork, Rathenau Institute, and Institute for Society and Technology at the Flemish Parliament) organised the first European Summer School on Technology Assessment entitled: “Renewable Energy Systems: Role and Use of Parliamentary Technology Assessment”. 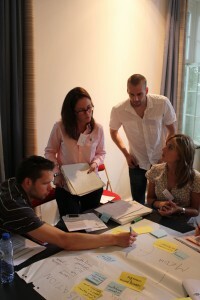 This summer school was held with the support from the University of Liège and its Faculty of Law and Political Science. After a reception at the Academic Hall in the University of Liège’s campus in the historical town centre, the participants were taken outside the city centre to the Castle of Colonster, which is located on the hills of the ULg’s Sart-Tilman Campus. 34 participants were selected on the basis of their motivation letters and according to a balanced mix of professional backgrounds and countries (including outreaches towards Australia and African countries). In order get prepared for the summer school, the participants were provided beforehand with an USB-stick containing a literature portfolio about TA, TA methods and communication strategy, and renewable energy systems. 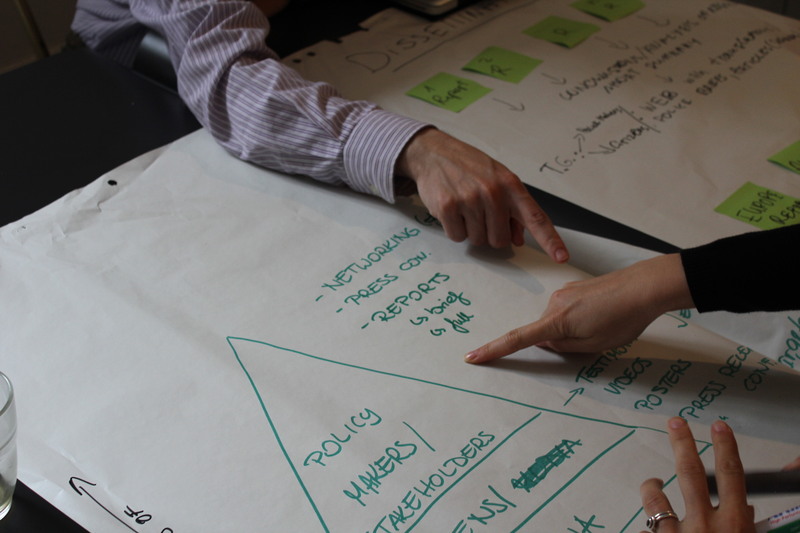 The Summer School brought together various stakeholder groups from policymaking, policy advising, academia, industry, civil society organisations, and the media. As a transnational concern and growing grand challenge for policy, economy and society worldwide the topic of renewable energy systems was chosen as an entry point for learning about TA. This challenge refers to the interplay of actors, technologies, policies, worldviews and institutions engaged in the field of energy debates, policies and production. Renewables raise their own difficulties, controversies and unknowns and open up a variety of issues such as energy independence and security, climate change, sustainability, competitiveness, quality of life and a greater accessibility and justice in the distribution of the costs and benefits of natural energy resources. Technologies play an important role in coping with such issues. At the same time, technologies can also be part of the problem. These were some of the questions at the heart of our discussions at the summer school. This ground set and transdisciplinarity being at the core of TA, a balanced mixture of lecturers, workshops, and social activities allowed participants to discuss, experience, and learn about the usefulness and the relevance of TA activities for their own activities and for their wider organisational or national contexts. The Summer School provided insights from leading TA professionals into TA activities, rationales and methodologies, but it also aimed at creating awareness and interest, mobilize new actors, and strengthen networking activities around TA in Europe. The complete programme and timetable can be downloaded here. After vivid discussion rounds following the lectures, the participants were split up in two working groups. They received different assignments and methods in order to stimulate and debate about a fictive TA project. A first group took a reactive stance towards an MEP’s demand for “citizen deliberation on renewables”. The second unit was left to come up proactively with a project proposal on “renewables for cities”. Johan Evers (IST) supervised the first group whilst Jurgen Ganzevles (Rathenau Institute) was in charge of the second. The other lecturers assisted them after their interventions. The participants were encouraged to rely on their own disciplinary expertise (such as ethics, law, political and social sciences, STS, natural or applied sciences) and/or experience (as policy-makers, civil society organizations, media, etc.). There were in total six workshop sessions according the different phases of a TA project as previously described the lecturers: problem definition and research design; methodological aspects; communication and dissemination; and a finalisation workshop before the two groups presented their work to the plenary. In these workshops, the participants were confronted with questions such as demand analysis, project management and division of work, exploration of the stakeholders and technologies at stake. Furthermore, they were challenged to make methodological choices, and quickly respond to outside demands and pressures in addition to planned working and communication strategies.